There’s a lot of hate for JJ Abrams, but when he makes movies that play to his strengths, he wins. He saved the Mission Impossible franchise with 3 and with the utterly terrific Ghost Protocol, and the trailer for the 5th installment, Rogue Nation, looks to be continuing in the Abrams vein and is totally BONKERS. I’m in. Warning: sci fi geekery ahead. For some time now I’ve been writing up notes on a “galactic empire” that would look quite different from what’s been portrayed in most science fiction. 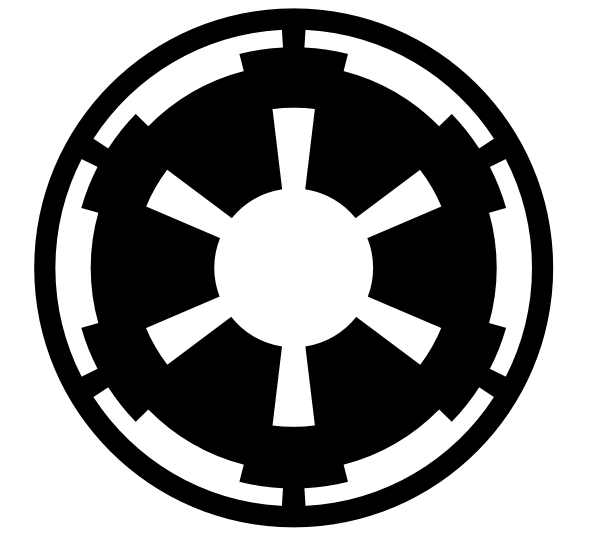 In my imagination, a true galactic empire wouldn’t need to “conquer planets,” go to war or fight giant space battles. In fact, it would be better if most intelligent species were unaware of what else is happening in space. The wildly disparate levels of technology would be so variant that any kind of outwardly visible empire doing battle with another wouldn’t be plausible. I assume if an empire is able to encompass the galaxy it would have done so because it was able to move out first, before anyone else had risen to a level of civilization sufficient to challenge it. An empire — if that’s what you need to call it — would only need to bring a few other spacefaring species into the fold and keep a close eye on the millions of lesser-advanced species, infecting those planets with exclusionary religions, superstitions and fractious nationalism to keep them from climbing out of their cradles. Any resources, wealth, minerals, whatever, needed by the empire can be extracted from these planets without the natives ever knowing, but the resources could be taken from uninhabited planets anyway. I’ve never been quite able to buy it when a story posits an empire advanced enough to control a whole galaxy but still needs to target this one small planet to get the one thing it needs. The name of the game would be to keep any planet that might one day be capable of advancing to the point of being a threat mired in distractions. The empire’s sociological scientists would be advanced enough to figure out who might be a threat in a few thousand years and who wouldn’t. And the empire would be thinking in terms of thousands or even tens of thousands of years, in the way modern nations think in decades. With all that in mind, I found this article about what Frank Herbert and Isaac Asimov got wrong in their visions of galactic empires. I’m not sure I agree with everything in the article, but it’s a great conversation starter. This was first posted a few years ago but I just came across it today: A man put an iPhone inside a guitar and started to play. Watch the strings as the camera captures the oscillation!